T&D distribute the full range of copper lattice Earth Mats that offer a more economical cost option to installing solid earth copper plates – when used with Bentonite they provide a lasting earthing solution. They are often used for potential grading and are a preferred option on installations such as telecommunications towers where touch and step potential could cause problems. Earth mats manufactured from high conductivity copper tape also reduce the danger of exposure to high step and touch voltages to substation and authorised personnel working on high voltage switching providing reliable earthing in high fault current and step potential avoidance applications, such as high voltage substations and switchrooms. 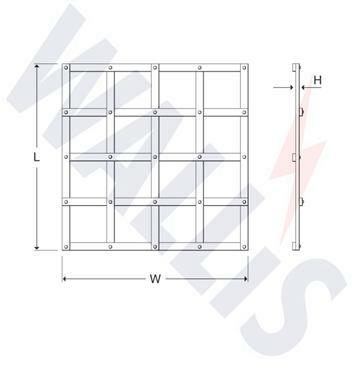 Copper earth mats are manufactured to BS EN 12163 (formerly BS 2874) – solid copper earth plates are also available. 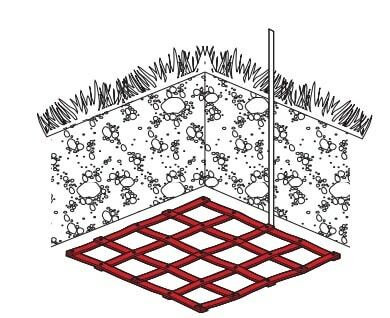 Earth mats are configured into the design of earthing systems incorporating pole-mounted equipment distributing medium/high voltage power at 33kV, 11kV and 6.6kV – preformed copper earth lattice mats are required to be installed at ground level switchgear locations directly below the operator when working on the MV HV switchgear. 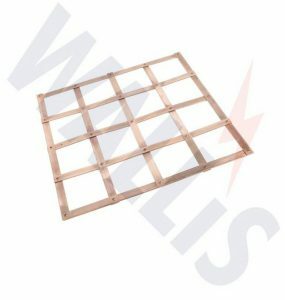 The earth mats are usually constructed of copper tape in lattice design or using bare copper conductor and connected to the switch handle or control unit depending on the anticipated fault current. Where any item of electrical equipment on the pole is connected to earth all steelwork on the pole above 3.0m, including cross arms, pilot insulator pins, trussing gear and high voltage cable boxes should be connected to the main earth. Steelwork below 3.0m, such as low level 33kV cable support steelwork, shall have a separate earth electrode installed and shall not be bonded to the main earth.